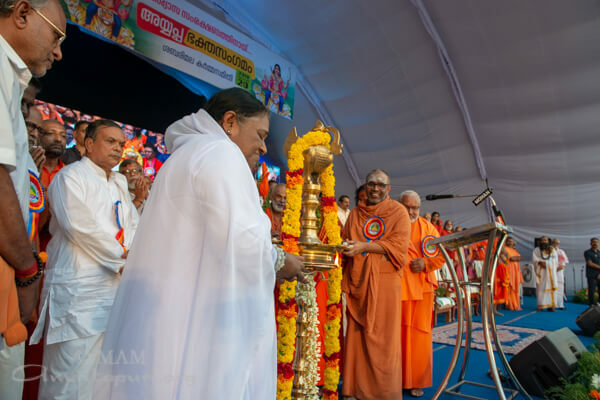 Amma bows down to everyone who are embodiments of divine love and the Supreme Self. The recent incidents related to Sabarimala are quite unfortunate. 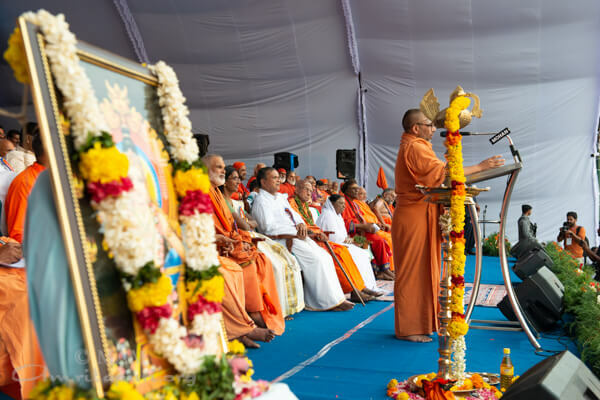 The cause of the problem is lack of adequate knowledge regarding the specific nature of the pratishtha sankalpa [ritualistic resolves at the time of consecration] for each deity worshiped in each temple and the practicing of the austerities associated with them. Ignoring or discontinuing them is incorrect. When we consider the nature of deities worshiped in temples, we should understand the difference between them and the concept of God as the all-pervading consciousness. The all-pervading God has no limitations of constraints; there is no discrimination of male or female. There is a difference between the fish in the ocean and the fish nurtured in a fish tank at home. For the fish in the tank, we have to give food, provide oxygen and also regularly change the water. There are no such limitations for the fish in the ocean. When we take a bath in a river, we don’t have to follow any restrictions or yama-niyamas [ dos and don’ts]. On the other hand, when a swimming pool is filled with the water from the same river, that water then has to be filtered and chlorinated. People who want to swim in the pool have to wash their bodies first to remove sweat. They should also remove their old clothes and wear specific swimming suits. One should not use soap in a swimming pool. Even though nothing but river water is used to fill the swimming pool, the rules of cleanliness are different there. Likewise, even though it is really just the all-pervading God worshipped in a temple deity, the rules and observances regarding purity for worshipping the temple deity are different and specific. When we sow a seed, we will get fruit in the future only if we water the sapling, regularly apply manure and take proper care of the plant. 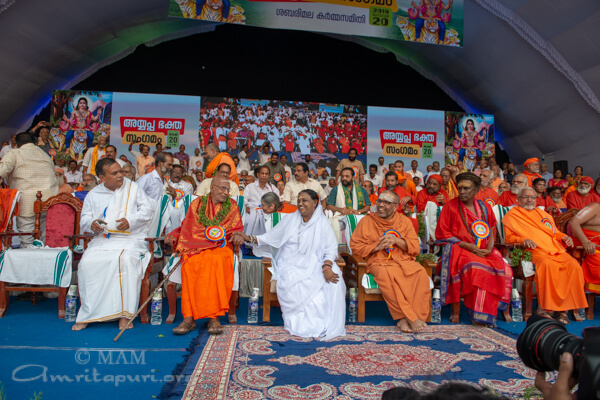 Likewise, a temple deity has to be worshipped at the correct time, offered only naivedyam [consecrated food], differences of purity and impurity are to be observed, and codes of conduct must be followed strictly. But there are no such rules for worshipping all-pervading God. Each deity in each temple has a different set of rules to be followed for worship. For example, the procedures of worshipping Devi in a temple where she has been consecrated in raudra bhava [fierce mood] are different from those in another temple where she is shanta bhava [peaceful mood]. If those specific procedures are not followed, it can affect the sanctity of the temple. The deities worshipped in temples are said to be considered like minors [as per the Constitution of India]. Just as a child requires the care of its parents and teachers, the deity requires the care of tantris and pujaris. The role of the devotees of the deity is also of paramount importance. In fact, the deity indeed exists for the sake of devotees. 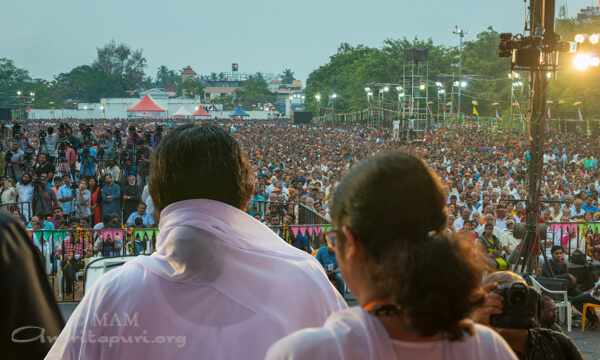 It is the belief of the devotees that Sabarimala Ayyappan was a naishtika brahmachari [eternal celibate]. Devotees also believe that the vows associated with the shrine respect his last wishes before he entered final samadhi and left his mortal coil. 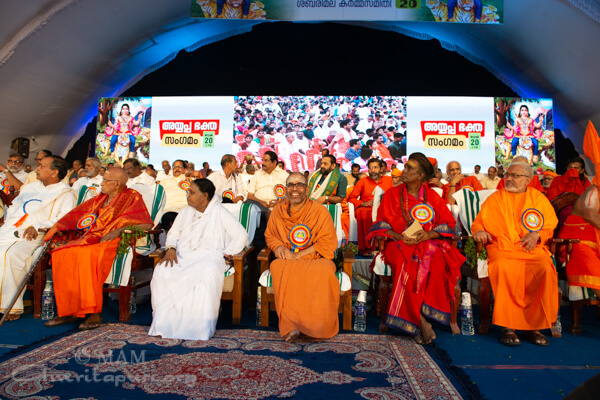 Making changes according to the changing times is necessary, but if we start changing things at will when it comes to temples, then there is scope to lose our fundamental values. It is like trying to bathe a child again and again and ultimately washing the child away in the process! 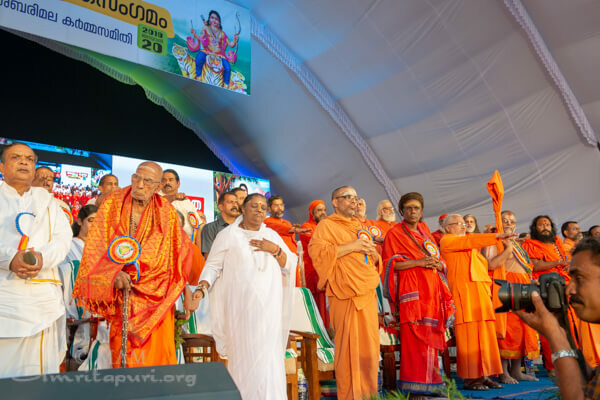 Sri Sankaracharya, Sri Narayana Guru and Sri Chattambi Swamigal were all established in Advaita [the ultimate truth that everything is but one all-pervasive consciousness]. 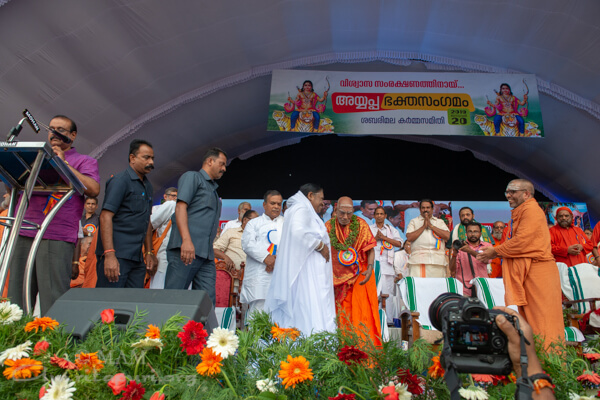 But after attaining that highest state, they still established temples for worship and outlined the procedural norms for the worship of those deities. I have been invited to visit such temples too, and I have gone there. In some Siva temples, Amma was asked to do only three-quarter circumambulation and then return as per tradition. 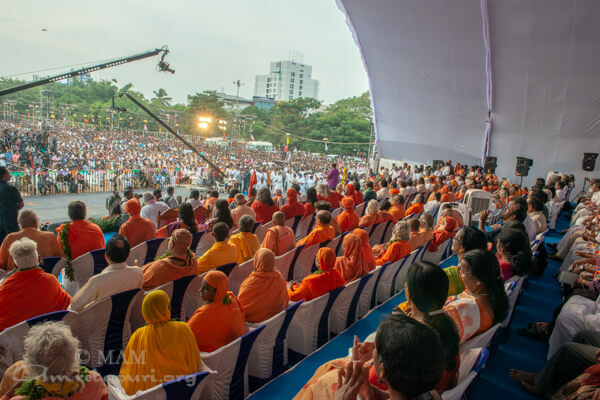 Bowing to those specific procedures, Amma followed them. 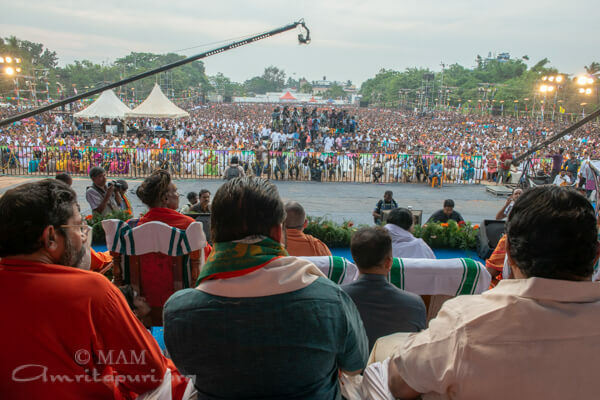 Even when Amma first began consecrating the Brahmasthana Temples at her ashrams, Amma consulted experts and pundits and took their advice. 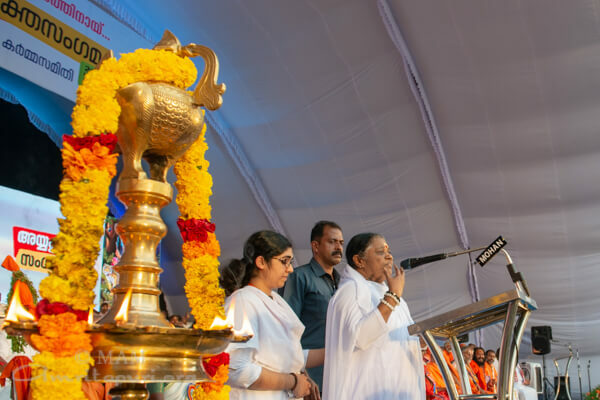 When Amma initiated some of her brahmacharis [spiritual students] into sannyasa [monkhood], Amma followed the established procedures by inviting a sannyasi [monk] from a traditional lineage to carry out the procedural norms. 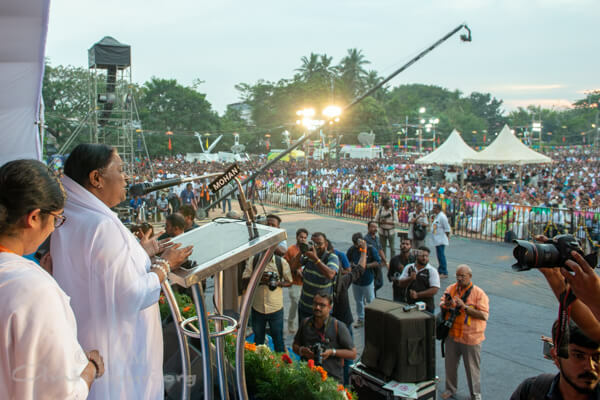 Thus, Amma—despite seeing everything as a manifestation of God—has not relinquished the traditional norms. Temples are indeed the pillars of our religious culture. We are duty bound to take care of them. Otherwise, like a kite that’s string has been cut, society will drift aimlessly. Even in the mundane world, we see that in places like airports smoking is only permitted in specific locations. People follow such restrictions. In Mannarsala, the tradition is that the temple priest should be a woman. In some places there are schools and colleges exclusively for boys or girls. One does not demand gender equality there. 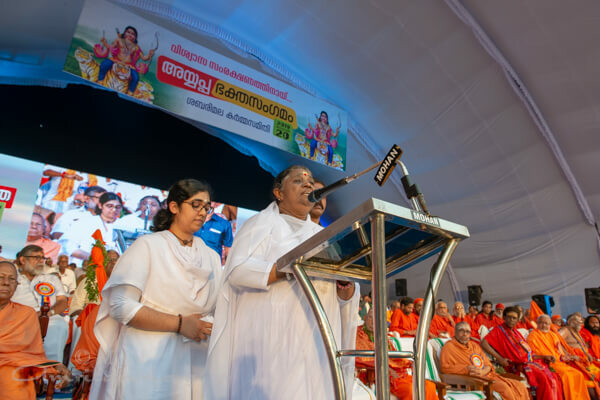 Moreover in Sabarimala one cannot say there is gender discrimination; ladies of a specific age group [before 10 and after 50] are permitted to worship. When mothers say to little children, “If you tell a lie, you will go blind” or “Your nose will get cut off,” it’s just to instil some fear in the children to prevent them from lying. If it were true, practically everyone would be blind and without a nose! But it has a practicality to it, coming down to the level of the child to uplift them. Once a little girl showed a picture she had drawn to her father and said, “Dad, see the elephant I drew!” The father, who was busy with some work, looked and saw only some scribbled lines. He said, “Where’s the elephant? I don’t see any such thing.” The child became sad and started crying. The father, realising his mistake, said, “Oh, yes! Before I didn’t see the picture clearly because I wasn’t wearing my glasses! Now that I’m wearing them, I can see a beautiful elephant there!” The child felt very happy. Similarly, there is the language of the heart. We cannot evaluate everything with the intellect. To communicate certain things, one has to come down to the level of others. God is the ultimate truth and to attain Him, temples are useful like the steps to the top floor. The top floor and the steps are made of the same bricks, cement and mortar. So too everything is indeed God. But to reach that destination, you cannot disregard the importance of the steps. Without the help of the steps, one cannot reach the top floor. 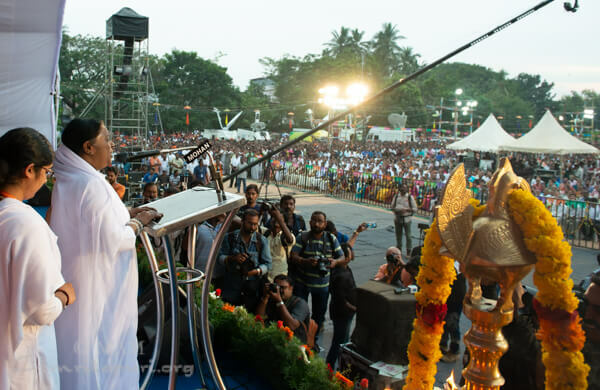 In the past, Amma did a small research, spanning a period of 10 to 15 years. During Sabarimala season, she would send people to various hospitals to find out the pattern of the influx of patients. 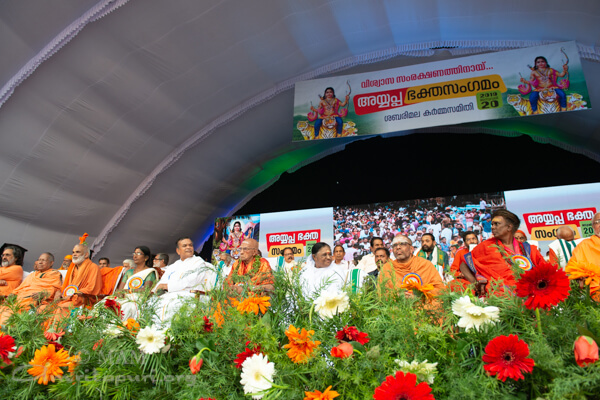 She observed that during the Sabarimala season, the number of patients coming to hospitals dropped by 30 to 40 per cent. 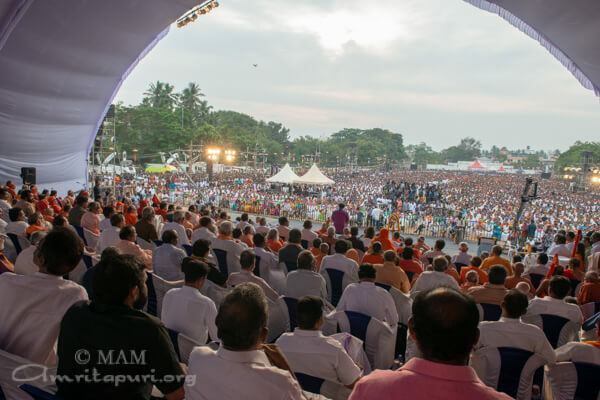 Maybe the reason is that during those months many men [on account of practising the austerities for going to Sabarimala] do not drink alcohol, do not consume non-vegetarian food, do not fight with their wives and also do puja and mantra japa sitting together with their family. Thus the Sabarimala Temple’s influence in bringing positive vibrations in both in the body and mind of the people in society is obvious. So, it is important that these traditions are nurtured and maintained by society. Society remains bound to good values this way. Everyone should adhere to this and move forward. I don’t have anything more to say, and many people who spoke before me have mostly said what has to be said on this issue.